The DeWitt family reputation stands on a tradition of commitment. Our integrity is ingrained in a promise we give to everyone we do business with and every project we touch. We operate with an honest dedication, assuring that our customers will always receive the highest quality work at competitive prices. Plus, we always assess our bid to include as much self-performed detail as possible, rarely contracting outside of our company. Simply put, we deliver stunning work on budget and on time, every time. On April 1, 2016, we recognized a huge opportunity to join forces with Plateau Excavation of Austell, Georgia. 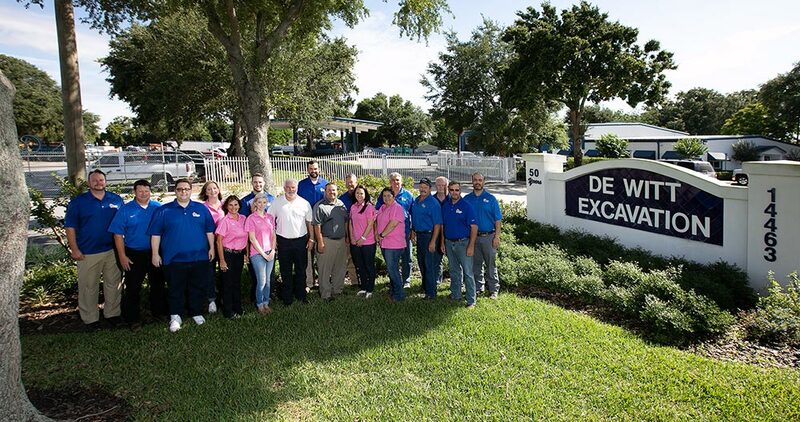 Through their rigorous professionalism, they have become a tremendous name in our industry. We were initially impressed with Plateau’s ability to mobilize and routinely tackle complex site developments, especially those requiring a great deal of meticulous pre-construction planning. If there’s any question about their phenomenal commercial work, just take a look at the Atlanta Braves Stadium. On top of all of that, their comprehensive experience is also echoed in their residential and industrial work portfolio. Since we took the plunge, our teams have been learning from each other and will only gain momentum from here.